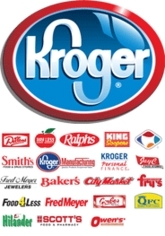 The Kroger CO is a renowned chain of grocery store of the nation. The empire of the company spans through innumerable states with a variety of store formats including multi-departmental stores, grocery, jewelry stores, convenience stores, super stores, supermarkets etc. there are over two dozens of banners under which the company operate. The store chain has over 3,574 direct and subsidiary units of operation. They are even a parent to innumerable banner chains, including 'Ralphs' of California. They also operate 37 food manufacturing and processing facilities that produce high-quality products for providing immense value to customers. Kroger also has 1,947 pharmacies that offer quality drugs at low prices.